What to do if you or someone you know is involved in a Hit & Run Wreck on a bicycle (or cars for that matter)? 1st Contact the Police or Highway Patrol as quick as possible. It’s preferred to do at the time of the accident, but if that isn’t possible, state law requires this to be done within 24 hours of the collision. This investigation by a law enforcement officer will help determine the cause of the accident by an independent 3rd party. Plus it may lead to the discovery of the hit & run driver. 2nd Notify your insurance company. 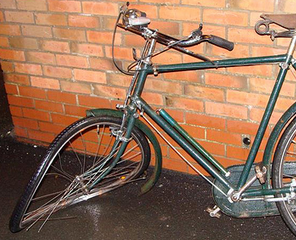 Even though you were on your bicycle, contact your automobile insurance carrier and notify them of the claim. You may be able to recover under a uninsured motorist (UM) coverage portion of your policy. There may be other policies you have that may apply. Questions about what to do if you or a family member or friend is injured in an accident? call Kirk Sanders 336-724-4707.